Navigate to previous months and seasons using the calendar below. Everton U23s withstood late resistance from Blackburn Rovers U23s to secure a 2-1 win in the quarter-final of the Premier League Cup at Goodison Park this evening. Everton atoned for their hugely disappointing defeat at Fulham by powering their way to an impressive 4-0 drubbing of Manchester United. The 22-year-old says that amid the spotlight on his performances and Everton’s own struggle for consistency, he is revelling in his current role as first-choice striker. Everton play their penultimate home game of the season looking to bounce back from another disillusioning setback as Manchester United come to Goodison. Everton appear have agreed to sign Danish defender Sebastian Kristensen from Lyngby BK for the Under-18s setup. 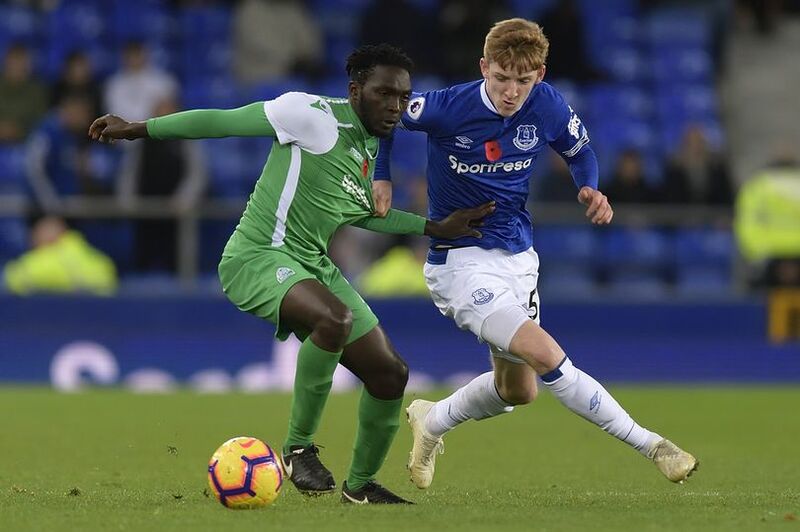 Everton's Under-23s are Premier League 2 champions once more after Josh Bowler's solitary strike clinched a decisive 1-0 win over Brighton at Goodison Park. It's the penultimate match of the season in Premier League 2 and David Unsworth's side sit on the brink of securing another Championship trophy. Everton were set to decide the futures of the veteran defenders during the close season but it appears as though the skipper is seeking clarification sooner than that. An exhibition of eadly finishing ability from Ellis Simms saw the prolific striker hit four goals in Everton Under-18s’ 6-0 victory over Sunderland at USM Finch Farm on Saturday. Fulham ended a nine-match losing streak by easily overcoming a dreadful Blues performance, scoring twice in the second half. Everton are up against London opposition for the fourth successive game as they travel to Craven Cottage to face relegated Fulham. Kurt Zouma won’t yet be drawn on the possibility of making his loan move to Everton permanent, stressing that the decision will be made at the end of the season. Phil Jagielka stepped into the breach caused by Michael Keane's illness to score the only goal of a hard-fought but entertaining encounter at Goodison that saw Everton beat top-six opposition for the second time in a fortnight. Everton Under-23s aimed to take a huge step towards the Premier League 2 title if they could have secured victory at Manchester City on Sunday but it was not to be. Everton U-18s were headed for another defeat at Newcastle's training ground today when Ellis Simms popped up to save a point and restore some pride with a last-minute equalizer. Everton have reportedly poured cold water on suggestions that Richarlison could be a summer target of Liverpool and the Brazilian took to social media to assure Blues fans of his allegiances. The combination of Everton’s recent revival and Marcel Brands’s aversion to unnecessary upheaval makes it highly likely that Marco Silva will retain the reins at Goodison Park this summer following a turbulent first season as manager. Everton put in one of their best performances of the season, surging into a 2-0 half-time lead and shutting down West Ham's attempts at a second-half fightback. Marco Silva expressed his pride in the way Everton put West Ham to the sword at the London Stadium to record a second-successive 2-0 win over opposition from Capital. Everton and Australia legend Tim Cahill has announced that he is hanging up his boots at the age of 39. Anthony Gordon curled home a stunning free-kick just 3 minutes from time to earn the young Blues a 2-1 victory at Southport’s Merseyrail Community Stadium on Friday night. Everton have today announced a multi-year extension to their kit manufacturing deal with Umbro. Yerry Mina could be out of action for around three weeks after suffering a hamstring injury on international duty for Colombia. Michael Keane scored his first international goal on Monday evening, setting England on their way to a 5-1 win over Montenegro in Podgorica. Lucas Digne has had to withdraw from the France squad after picking up a thigh injury in training. Ellis Simms grabbed his second hat-trick in the Black Country inside seven days as Everton Under-18s secured a 3-2 victory at Wolves in U18 Premier League (North). Jordan Pickford and Michael Keane were in the England team that thrashed the Czech Republic 5-0 at Wembley this evening. Everton U23s will take on Sunderland in the rearranged Round 16 tie of the Premier League Cup a week on Friday at Haig Avenue, Stockport. The manager has called on the young winger to work harder so that he can fulfil his “big potential”. The Portuguese says that Everton’s performance after half-time Chelsea on Sunday was much more representative of the quality he has always believed his team possesses. Marco Silva has been hit with a fine of £12,000 by the Football Association for improper conduct following his verbal altercation with officials at the end Everton's defeat at Newcastle. Everton U18s travelled to West Brom's training ground today for their 4th encounter this season with the Baggies. Everton begin a four-match stretch of games against London opposition this weekend when sixth-placed Chelsea come to Goodison Park. Ireland Manager Mick McCarthy is concerned that one of his best players James McCarthy has had no playing time at all since fully recovering from a broken leg. Professor Denise Barrett-Baxendale says that Everton hope to build a stadium that “will sit beautifully as the Fourth Grace on Liverpool’s waterfront” with their proposed new stadium. In the bottom half, one win in six and no sign of improvement on the horizon. Just how patient is Farhad Moshiri? Marco Silva has been charged with improper conduct by the Football Association following his verbal altercation with officials at the end Everton's defeat at Newcastle. Everton U23s preserved their 4-point lead atop Premier League 2 with a 0-0 draw against Arsenal at Southport this evening. Marco Silva is refusing to blame Jordan Pickford’s mixed performance at Newcastle on the crowd but admits that his Everton side learned a lesson in the painful 3-2 reverse on Saturday. Former Deputy Prime Minister and long-term champion of regeneration in Liverpool, Lord Michael Heseltine, has backed Everton Football Club’s proposed move to a new dockland location and described it as a “golden opportunity to bring lasting change to the north of the city”. Everton travel to the northeast this weekend looking to register successive away wins for the first time in two and a half years when they take on Newcastle. 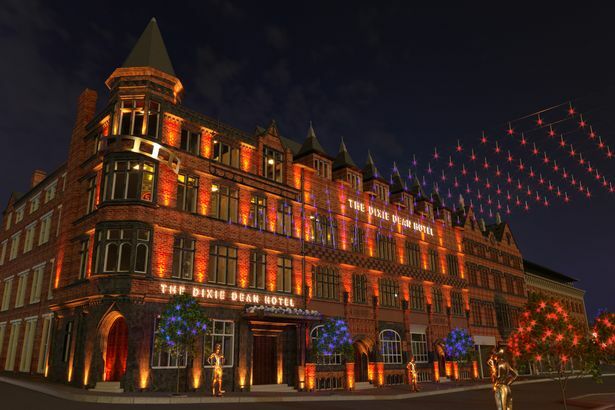 A new football-themed luxury hotel is being built in tribute to the greatest goalscorer of all time, Everton legend Dixie Dean. One of Everton's brightest young academy stars has signed a substantial 4-year contract as Everton look to their own to build for the future. 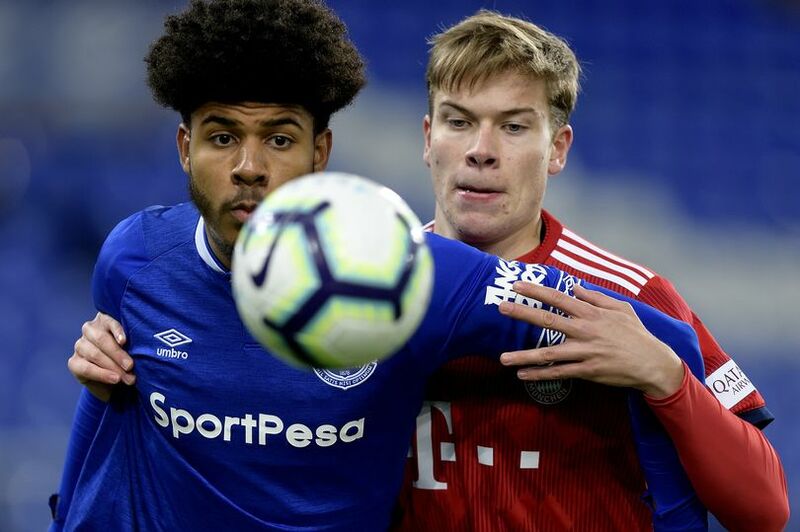 In his breakthrough season at Everton Academy, teenage defender Kyle John has been rewarded with his first professional contract at Everton. The 18-year-old right-back has put pen to paper on a deal that runs until the end of June 2021. Marco Silva has called on Evertonians to replicate in future games some of the derby fervour and the wall of noise that greeted the teams at Goodison Park on Sunday. Everton's Under-23s took a step closer to a second Premier League 2 title in three years with an impressive 2-0 win over Liverpool at Anfield. Everton U18s suffered a 3-1 defeat against Man City at Finch Farm this afternoon. Ellis Simms scored the only goal of the game for the young Blues. Everton have the twin mission of ending a nine-year wait for victory over Liverpool and putting a big dent in the reds' title hopes when the two sides meet in the 200th top-flight Mersey derby. Marco Silva says he is hoping that his players show belief and that can perform like they did in the Anfield derby when Liverpool come to Goodison Park on Sunday. Jose Baxter became the youngest first-team player in Everton history when he made his debut in 2008, aged 16 years and 191 days. The Merseyside-born attacking midfielder, who had been with the club since the age of six, looked set for a great future. As expected, Everton made no incoming signings today while they refused to budge on selling Idrissa Gueye to Paris St Germain and Yannick Bolasie joined Anderlecht. Marco Silva has blamed a lack of focus and aggression rather than his defensive system for Everton’s abject failure to defend routine set-pieces against Millwall. Everton were turfed out of the FA Cup by Millwall amid fury at an obvious handball goal and familiar frustrations over the team’s inability to defend set-pieces. Everton U18s suffered another loss, crashing out of the U18 Premier League Cup 4-1 to Middlesbrough. Everton head to the Capital in a game that has assumed the mantle of being the most important of the season so far. Marco Silva has confirmed that, as far as he is concerned, there has been no official approach made for Idrissa Gueye. Crystal Palace could make a move to try and sign Cenk Tosun from Everton on loan for the rest of the season, according to the BBC. Everton have moved up to 17th in the 2019 Deloitte Football Money League, as financial improvements continued last season under Farhad Moshiri. In an interview with Goal.com Richarlison says he would like the club to bring in a new Number 9, after filling that role himself in recent weeks. Everton U23s had to battle back from a 3-1 deficit way in a 6-goal 'thriller' at Doncaster Rovers in their latest Premier League Cup clash. Yannick Bolasie's loan spell with Aston Villa has been ended early, a decision that appears to have been made by the player. Everton went down to another demoralising defeat, this time at Southampton where the Blues failed to turn their dominance of possession into anything of substance. A close match which Everton lead 2-1 at the break ended up as cruel defeat to a goal in added time. Marco Silva was forced to concede that Southampton were full value for their win at St Mary’s Stadium today and he expressed concern at the lack of chances his team is creating. Everton look to build on two successive wins as they travel to the south coast this weekend to face Southampton under their new manager, Ralph Hasenhuttl. Bobby Carroll is the latest of Everton's Academy products to sign his first contract with the club. Voting is now open to select new members for the Everton Fans' Forum. Oumar Niasse has joined Cardiff City in a move that will see him represent the Bluebirds until the end of the season. Marco Silva has again moved to dampen speculation about potential incoming players this month, intimating that the money is unlikely to be there to fund purchases. Everton scrapped their way to an ugly but hugely welcome victory in a game that was often befitting the terrible conditions at Goodison Park. Everton Development Academy Goalkeeper Joe Hilton has joined Marine on loan until the end of the season. Everton are back at Goodison for a third successive home game with Bournemouth the visitors as Marco Silva attempts to stabilise his team’s teetering League form. Marco Silva has repeated his stance over the prospect of incoming signings, saying that there would have to be movement out of the squad before buying new players would be considered. Nikola Vlasic continues to talk as though he has no future at Goodison Park where he felt as though he wasn’t given a decent chance after Ronald Koeman was fired. Are Everton gambling with proposed 52,000 Bramley-Moore Stadium capacity? Gavin Buckland argues that the club are effectively positioning themselves outside the current Premier League model with a capacity significantly greater, not less than, the supporters who potentially want to watch us every week. In setting this challenging target capacity and combined with a £500m investment in the first place, the Board are displaying massive ambition whichever way you look at it. The Young Blues prevailed in an exciting encounter at the bet365 stadium after the game ended 2-2 after extra-time. Marcel Brands has been appointed to Everton's Board of Directors and handed broader powers covering all aspects of the playing side at the club. Everton have signed a new partnership agreement with moneycorp, global specialists in currency exchange and international payments. Ademola Lookman has moved to dispel the notion that he is unhappy at Everton, insisting that he is content as long as he is playing. Everton have been drawn to play Millwall away in the FA Cup Fourth Round following this evening's draw. Everton U23s lost 1-0 at Leicester City on Monday night. A close-range finish from a corner delivery just after the half-hour mark proved decisive at Holmes Park. Marco Silva has brushed off criticism from former interim Everton boss, Sam Allardyce, saying he isn't interested in opinions about his team if they aren't born of a love of the club. Everton did enough to negotiate their way past Lincoln City at Goodison Park and book their place in the fourth round of the FA Cup thanks to two goals in the first quarter of an hour. Everton’s FA Cup campaign kicks off this afternoon against Lincoln City and in the context of a season that has veered off the rails over the last month, it’s a match that has taken on extra importance. Updated West Bromwich Albion are reportedly keen to add James McCarthy to their squad but Marco Silva has suggested that Everton aren't looking to loan any more players out. Everton fell to their fourth defeat in five games as their New Year opened in the same vein as the previous one on the back of a dreadful display at Goodison Park. Everton and Leicester play the first Premier League fixture of 2019 when they meet at Goodison Park for the New Year’s Day lunchtime kick-off. Marco Silva has intimated that Everton will need further investment in quality players before they can truly be competitive with the top six. Marco Silva says that while Sunday’s Merseyside derby is a special game, he insists Everton won’t be changing their approach. Everton U23s got their season back on track with an important win on the road, this time in the Premier League Cup at Sheffield United. Everton have submitted for approval plans to renovate parts of their training complex in Halewood. Liverpool’s world-famous Liver Birds have been lit up in Everton blue for Christmas, triggering a spectacular firework display above the River Mersey. Marco Silva's assured start as Everton manager has them sitting in the Premier League's top six. For a side who were hovering ominously above the relegation zone at this stage last season – with their third manager of the campaign waiting in the wings — it has been an impressive transformation. Antonee Robinson has suffered an ankle injury that required an operation and is unlikely to play until into the New Year. Everton U23s featured both Jonjoe Kenney and Kieran Dowell, but went behind to Liverpool after just 11 minutes. Everton eked out a narrow 1-0 victory over Cardiff to record their fourth successive win at Goodison Park thanks to Gylfi Sigurdsson’s second-half goal. It was another three points for Everton's table-topping Under-18 side, with Ellis Simms and Kieran Phillips doubling up to put four in at Sunderland today. Everton return to Premier League action with a home game against Cardiff this weekend and they have been bolstered by the fitness of Sigurdsson and Gomes. It would appear that Lucas Digne couldn’t be happier about his move from Barcelona to Everton. In their next fixture, Everton U23s take on Liverpool at Goodison Park on Sunday: kick-off is 2 pm, with live streaming available for Everton Members. Jordan Pickford again did the business for England in a 3-0 win that featured Michael Keane and an emotional final farewell for Wayne Rooney. The first-stage public consultation into Everton FC's proposals for a new stadium at Bramley-Moore Dock and a community-led redevelopment of Goodison Park opens today (Thursday 15 November). Seamus Coleman has revealed that he has been the subject of plenty of interest from rival teams over the years but says that he never really considered leaving Everton. Gylfi Sigurdsson has been ruled out of Iceland's forthcoming match against Belgium and could miss their friendly with Qatar as well with the ankle injury he sustained on Sunday. Everton have been drawn at home to play either Sunderland or Oldham Athletic in the Third Round of the FA Youth Cup. Everton ground out a hugely creditable draw, keeping Chelsea’s much-vaunted attack at bay with a committed performance in West London. Everton face arguably their toughest test to date this season when they travel to Stamford Bridge with a key injury worry in the form of Richarlison. Everton CEO, Denise Barrett-Baxendale, has been talking at length about the public consultation process for the club's new stadium at Bramley-Moore Dock that kicks off this month. Marcel Brands says that with an emphasis on patient structuring and teamwork, Everton will be able to achieve success despite the challenging Premier League landscape. As Yerry Mina prepares for what is expected to be his full Blues debut, he explains how "Professor Marco's" pursuit of him over the summer made Goodison Park the obvious destination for him. Morgan Feeney's 36th-minute header proves decisive at a wet and wild County Ground after a real resolute performance from David Unsworth's U23s as they made it two wins from two in Premier League Cup Group D.
Everton have been handed a two-year ban from signing academy players and fined £500,000 after the Premier League found them guilty of illegally approaching a player. Leighton Baines was named on the teamsheet to start the friendly on Tuesday night against Gor Mahia but he failed to appear at kick-off and his place was taken by Beni Baningime. Baines suffered a minor stomach ailment and was left out as a precautionary measure. Do you feel you have something to offer as part of the Club’s official Fans’ Forum? Everton Under-21s needed to win their last Checkatrade Trophy match in Group F tonight at Barnsley to stay in the competition. Richarlison grabbed an impressive brace as Everton won their fourth Premier League game in five, comfortably beating Brighton 3-1 at Goodison Park. Marco Silva says that Everton will look at the situation regarding André Gomes in a few months and decide if trying to sign the midfielder permanently is an option. Everton Under-23s put in a fine performance on Friday night to secure a 2-1 victory at Brighton that keeps them top of Premier League 2. Marco Silva says that Yerry Mina won’t necessarily need to play against Brighton tomorrow in order to be ready to face Chelsea next weekend. A trove of leaked emails appears to have laid bare plans by a group of European football's most powerful clubs to break from their federations and form a new, 16-team super league. Everton return home to face Brighton & Hove Albion this weekend looking to bounce back from Sunday’s loss to Manchester United at Old Trafford. Liverpool U18s scored the 4th of seven goals in the dying minutes to win this local top-of-the-table clash and inflict the first defeat of the season on Everton's U18s. Kevin Mirallas has been speaking of his disappointment at missing out on the World Cup and his difficulties last season with Sam Allardyce. An Everton side of U21s lost tonight’s Checkatrade Trophy match against Oldham Athletic, 3-2 the score. Michael Keane has revealed the extent of the foot injury that only temporarily sidelined him last season but which would have lasting effects on his first season at Everton and his England prospects. Everton tasted familiar defeat at Old Trafford but it owed much to poor officiating and some wayward finishing as the Blues chased the game in the second half. Everton make the trip along the East Lancs Road this weekend hoping to beat United on their turf for just the third time in the Premier League era. Everton Under-23s retained 1st place atop Premier League 2 when they defeated Manchester City at Goodison Park on Saturday night, despite a second yellow for Mason Holgate. Marco Silva will be one of the guests talking to Gary Richardson on Sportsweek. Joe Anderson says that he has not given up on the prospect of arranging a loan from the city to Everton for the proposed stadium at Bramley-Moore Dock. Everton have confirmed the timing of their public consultation into plans for a new stadium on Liverpool's north docks and Goodison Park but planning applications have been put back to next year. Andre Gomes says he felt “very comfortable” on his full Everton debut during which he featured for 80-plus minutes after recovering from a hamstring injury. Cenk Tosun says that he is getting the benefit of being on the end of more goal-scoring opportunities after he bagged his second goal of the season in Sunday’s 2-0 win over Crystal Palace. Marco Silva credited his team for their patience as they eventually prevailed over a typically stubborn Crystal Palace team at Goodison Park this afternoon. Everton U18s put seven goals past Newcastle United at Finch Farm this afternoon to maintain their fantastic unbeaten start to hee season. Marco Silva says that he is enjoying the challenge of managing Everton so far and offers further suggestions that he sees the role as very much a long-term project. Marco Silva has explained some of the rationale behind Everton’s summer signings and what can be expected of them, particularly Yerry Mina and André Gomes who have yet to feature. Nick Wright says that, "[t]he numbers suggest Everton have pulled off a coup by getting [Bernard] on a free transfer. The early months of Silva's Goodison Park revolution have not been without setbacks. "The problems of last season are not consigned to history just yet. But with the boy from Brazil pulling the strings, their creativity issues might soon become a thing of the past." Jordan Pickford was among the highlights of an incredible first half in Seville that saw England roar into a 3-0 lead, two of the goals initiated by the Everton goalkeeper's pinpoint distribution. Ademola Lookman says he is feeling more settled with the Blues but he says he wants more opportunity in Marco Silva’s team. Idrissa Gueye's participation in Senegal's game against Sudan and Everton's clash with Crystal Palace after that is in doubt after he picked up an apparent ankle injury. Marco Silva is seeing further progress on the injury front with the news that five players through a practice match at Finch Farm this past week, seemingly unscathed. Fraser Hornby will be sidelined for at least two-month after undergoing surgery on an ankle ligament injury. Everton's upcoming games in December and January against Liverpool, Watford, Manchester City, Tottenham, Leicester and Bournemouth have all been moved for TV. Lucas Digne and Kurt Zouma returned to the French international fold in last night's friendly with Iceland while Ademola Lookman and Dominic Calvert-Lewin were on target for England U21s. Everton’s Director of Finance says that the club will use the experiences of rival clubs as learning opportunities as they look to advance the development of a new stadium at Bramley-Moore Dock. To mark World Mental Health Day, Everton staff from on and off the pitch have undertaken a mental health awareness session as part of the club’s ongoing work to promote positive mental health. Theo Walcott has praised team-mate Gylfi Sigurdsson for his brilliant goal that lifted Everton over Leicester last Saturday. Bernard's sterling work in creating the opening goal for Richarlison in last Saturday's win over Leicester won't go down as an assist after all. Marco Silva paid tribute to his players, saying that they showed their desire to come to Leicester and take all three points today, while also praising the "fantastic" travelling fans. Everton U18s lose their 100% record in the U18 Premier League after a six-goal thriller that ended 3-3 at Finch Farm. Everton Under-23s are playing Doncaster Rovers at Southport this evening in the first encounter of this season's Premier League Cup. Everton could be in a position to bring some of their injured players into the first-team after the international break as they make progress on their respective recoveries. Everton and Southampton belatedly meet in the third round of the Carabao Cup this evening with Leicester City awaiting the winners. Marco Silva has defended his decision to make seven changes to his starting line-up after Everton were turfed out of the Carabao Cup on penalties by Southampton. Nikola Vlasic scored the only goal as CSKA Moscow beat Real Madrid in the Champions League this evening. Alisher Usmanov says that he could yet help out his friend, Farhad Moshiri, in his attempts to get the Blues to "where they should be." Marco Silva says that he told his players at half-time against Fulham that they needed to be more aggressive and he was rewarded with a significantly improved performance in the second period. Everton U23s won again, this time on the road at the County Ground in Leyland where they triumphed over their counterparts from Blackburn Rovers. Matthew Pennington will spend the 2018-19 season on loan at Ipswich Town. As expected, Jordan Pickford has been included in England's squad for the UEFA Nations League games against Switzerland and Spain. Everton are into the draw for the Carabao Cup third round after what was a largely comfortable win over Championship side Rotherham United. Everton set out on one of the roads to Wembley this evening when Rotherham come to town in the second round of the League Cup. Kurt Zouma gave his first press conference since joining Everton on loan at Finch Farm today, ahead of what will almost certainly be his full debut for the club. Richarlison has been called up by Brazil for the upcoming friendlies against El Salvador and the United States. Michael Keane sustained a small fracture to his skull when he collided with team-mate Idrissa Gueye in yesterday’s draw with Bournemouth. Marco Silva admits that his team should have claimed all three points from this afternoon’s trip to Bournemouth after they had gone into a 2-0 lead with 25 minutes to go. Michael Keane was taken a local south coast hospital this afternoon after being stretchered off at the end of Everton's 2-2 draw with Bournemouth. Everton have confirmed Yannick Bolasie's season-long loan with Aston Villa. Everton U18s ran out 2-1 winners over Middlesbrough at Finch Farm today strengthening their place at the top of the table after three straight wins. Everton and Swansea City have played to a stalemate in their Premier League 2 clash at Goodison Park this afternoon. Peter Grant provides a review of this curiously titled musical work that finishes its run at the Epstein Theatre in Liverpool on Saturday. Everton will turn out at Vitality Stadium tomorrow in their new third kit that was officially unveiled today. Muhamed Besic will spend the 2018-19 season at the Riverside Stadium after Middlesbrough reached another agreement with Everton over the Bosnian. As expected, Everton Under-23s midfielder, Joe Williams, has secured a move to the Championship, joining Bolton Wanderers on loan for the season. 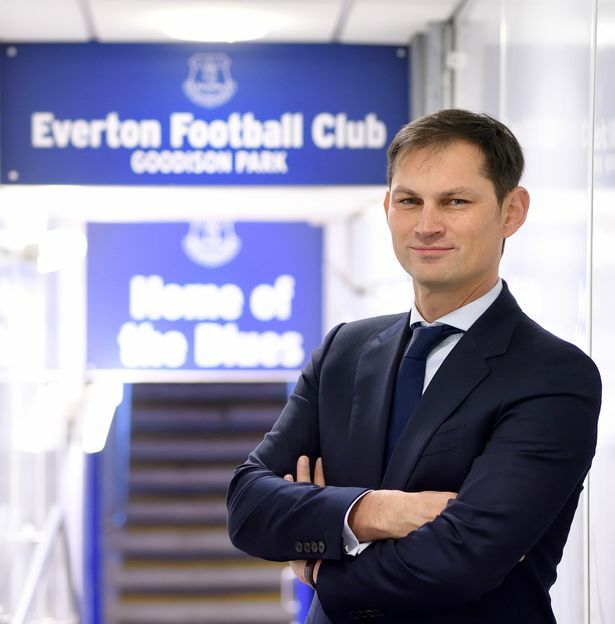 CEO Denise Barrett-Baxendale has an article at ESPN where she talks about her ambitions for Everton moving forward into a new era. Updated Yannick Bolasie is reportedly considering a season-long loan with either Middlesbrough or Aston Villa while there is a deal agreed for Muhamed Besic to return to the Riverside. Everton's Under-23s faced Leicester City at Goodison Park this evening with new goalkeeping acquistion, Joao Virginia in the starting XI. Paul Joyce highlights the vital community work undertaken by Everton and Liverpool Football Clubs that is filling big gaps in Council funding caused by the Government's austerity policies. Everton U18s ran out 2-1 winners at Derby County thanks to a brace from Ellis Simms. The win puts them top of the Northern Group with a 100% record after 2 games. Everton registered their first victory of the season as Richarlison scored the winner on his home debut. Cuco Martina has made a season-long loan to Stoke City, following team-mate Ashley Williams to the bet365 Stadium. Yerry Mina's delay in joining training this week has been explained by what Marco Silva describes as a "small foot injury". Everton U23s will continue to use the Merseyrail Community Stadium at Haig Avenue in Southport for the 2018-19 season. Everton have been drawn against Rotherham United in the second round of the Carabao Cup. Marcel Brands has revealed to the Liverpool Echo that Yerry Mina was a top Everton target before he gained notoriety for his goalscoring exploits at the World Cup this summer. Nikola Vlasic's reported loan to CSKA Moscow for the season has been confirmed. Russian billionaire Alisher Usmanov has indicated he would consider investing in Everton after he finally sold his stake in Arsenal. Construction industry specialist, Colin Chong, has been appointed to as a Stadium Development Director to help push forward Everton's plans for a new dockside stadium. Marco Silva says that he fears Richarlison will need protection from referees as he expects the Brazilian is likely to find himself on the end of rough treatment again this season. Three of Everton's four deadline-day signings are expected to train with the first-team for the first time this week. >David Unsworth's Under-23 side started off their 2018-19 campaign in Premier Leagute 2 against Chelsea at Stamford Bridge on Sunday afternoon with a 1-1 draw. Richarlison scored a memorable brace on his Blues debut but Everton's hopes of getting off to a winning start were undermined by Phil Jagielka's 40th-minute red card. Marco Silva was fulsome in his praise of his players’ work ethic and commitment during today’s 2-2 draw at Wolves where they almost came away with three points despite playing more than a half with 10 men. Everton’s 2018-19 Premier League campaign begins in front of the BT cameras in the late-afternoon kick-off at Molineux against newly-promoted Wolves. Everton's Under-18 Academy side ran out 3-2 winners over Wolverhampton Wanderers this morning. Everton have made exciting Brazilian attacking midfielder Bernard their third major signing of the summer after he put pen to paper on a four-year contract today. Everton have moved to bolster their options in central midfield with the acquisition of Andre Gomes on a season-long loan from Barcelona. Everton’s pursuit of Yerry Mina was successfully concluded today, with the Colombian defender’s move from Barcelona completed ahead of the transfer deadline. Everton have beaten the deadline with deals for Bernard, Mina and Gomes, with Kurt Zouma set to arrive on loan, too. Muhamed Besic was seemingly on course to rejoin Middlesbrough on a permanent basis but it appears as though he has failed to agree personal terms at the Riverside. Kieran Dowell and Callum Connolly have both signed new three-year contracts today as Everton look to secure their promising young talent. Kevin Mirallas will spend the 2018-19 season in Serie A after his season-long loan to Fiorentina was confirmed this afternoon. Sky Sports have picked up three more of Everton's fixtures for live screening, with the home match against Crystal Palace and the trips to Chelsea and Manchester United rearranged. Everton and their official charity, Everton in the Community, have launched a new mental health-focused campaign to raise funds to build a permanent facility — called ‘The People’s Place’ — in the shadows of Goodison Park. Brazilian midfielder Bernard looks set to join Everton on a free transfer, with reports suggesting everything has been agreed pending a medical. Marco Silva has admitted that he has to strengthen his team with time running out before the transfer window closes on Thursday. Marco Silva has said again that Ademola Lookman is Everton's player as speculation over another approach from RB Leipzig continues. Everton are almost certain to be without Mason Holgate for next weekend's season opener as the defender tries to overcome Achilles tendonitis. Everton took on Valencia at Goodison Park in their final pre-season fixture and a chance to see new signing Lucas Digne for the first time. Everton Under-23s drew with their Manchester United counterparts on Saturday in the final game of their pre-season preparations. Kevin Mirallas is set to join Fiorentina on a season-long loan subject to the completion of a successful medical, Everton have announced. Everton have signed the Gunners' U18s goalkeeper Joao Virginia for an undisclosed fee. Lucas Digne faced the media for the first time today as an Everton player and spoke of competition for places, that tattoo, and being Blue. Ashley Williams has likely played his last game for Everton after finalising a season-long loan with the Potters as the Belgian looks set for a spell in Italy. Jordan Pickford will be cutting short his holiday to return to training today as he bids to start between the sticks when Everton kick off against Wolves on the opening day. Marco Silva has been extolling the virtues of his new signing after former PSG and Roma defender Lucas Digne completed his move to Everton from Barcelona. Everton are said to be in negotiation with Stoke City over a season-long loan for defender Ashley Williams. Jack Rodwell is training with Everton U23s at Finch Farm while he finds another club after his contract at Sunderland was cancelled in June. Would selling Lookman to Leipzig be a mistake? Will Everton’s failed gamble mean top six disappear over horizon? Henry Onyekuru is expected to serve out the second year of his loan deal at RSC Anderlecht despite problems developing last season.